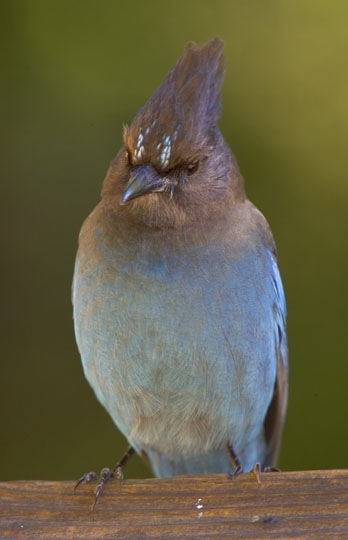 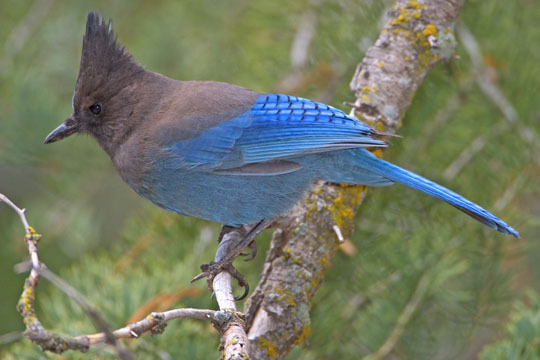 Steller's jays are found from Alaska into central America and in much of the western US, in areas where there are large trees. 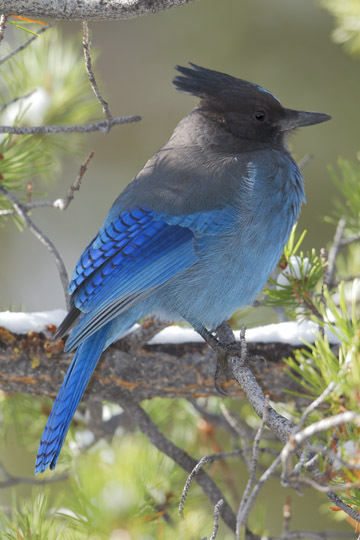 Although they are a classic bird of deep conifer forests, they can also be found in oaks. 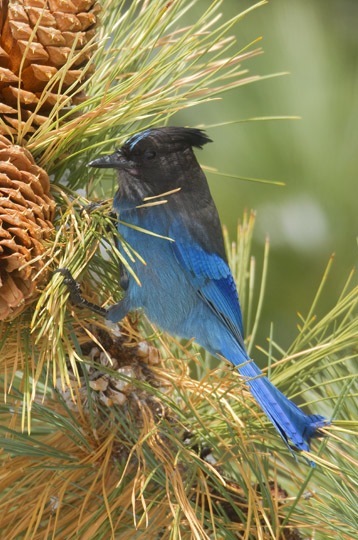 In some areas they overlap with the paler, uncrested western scrub jay. 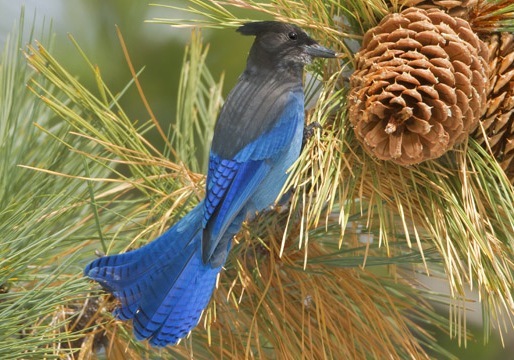 I took these pictures near Forest Falls in the San Bernardino Mountains of southern California; Big Basin Redwoods in Santa Cruz County, California, and on the eastern shore of Lake Tahoe, Nevada (these birds were extracting seeds from the large cones of Jeffrey pines).